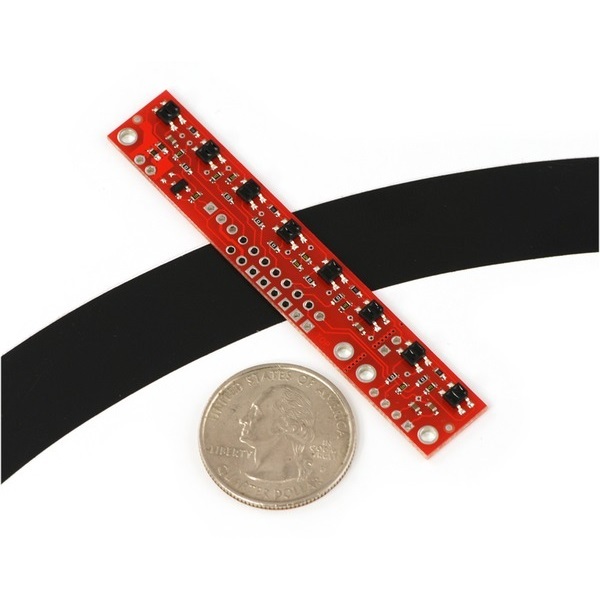 The Pololu QTR-8RC 8 Channel Digital IR Infrared Reflectance Sensor is an ideal solution for creating line following robots. 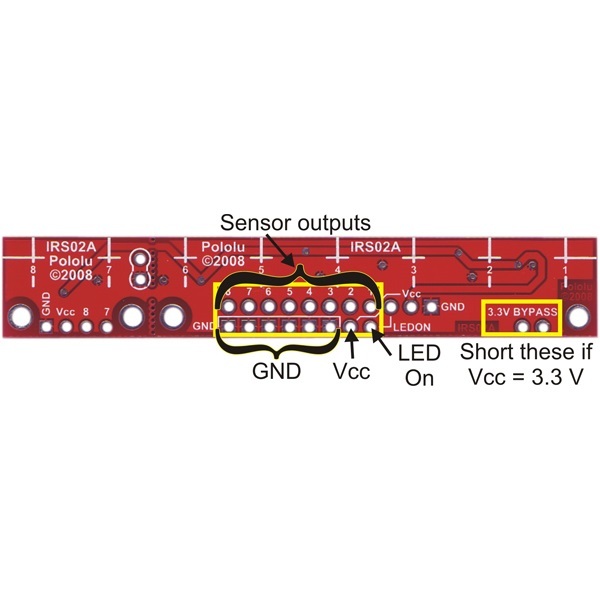 This optical sensor features eight IR LEDs with corresponding phototransistors that measure the amount of infrared light reflected from a surface. Light colors reflect light whereas dark colors absorb light. 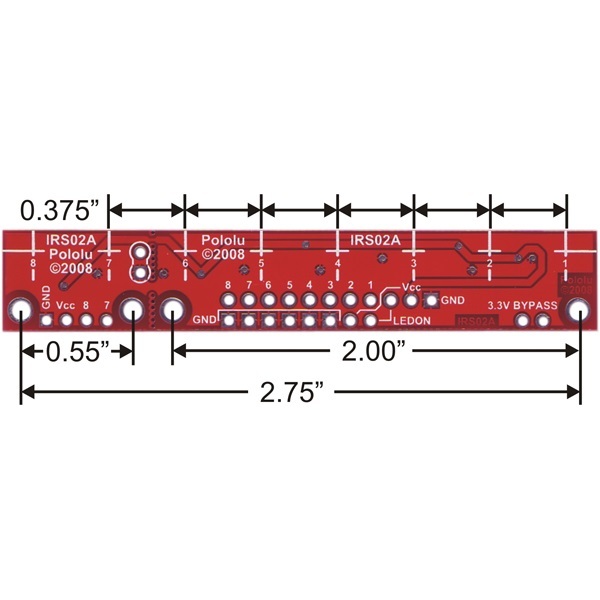 Each of the eight channels can be read directly by the digital I/O lines of your robot's microcontroller brain. 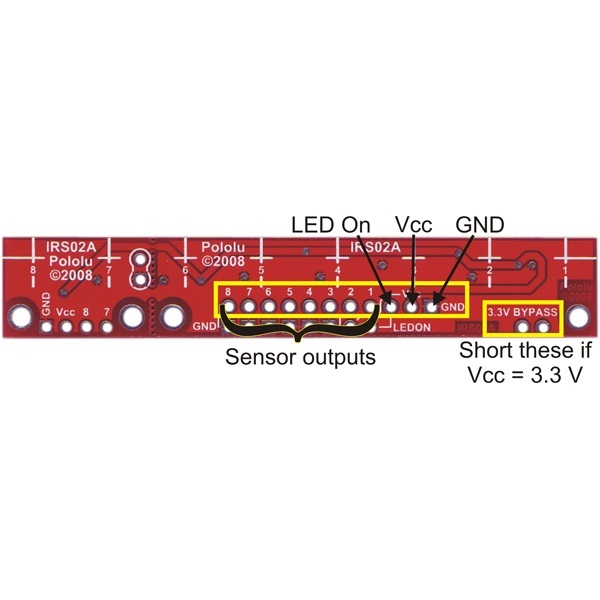 This line tracking sensor module uses RC timing to allow your microcontroller's digital I/O lines to read analog values. Although designed primarily for line sensing, this module can be used for general purpose proximity and reflectance sensing purposes. Each of the eight infrared reflectance sensors operates independently. Each sensor has a capacitor that is used to establish an RC timing circuit used to determine the amount of reflectance based on time. 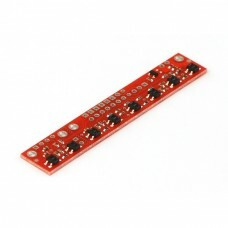 This module can be used with both 5V and 3.3V microcontrollers depending on a jumper setting. 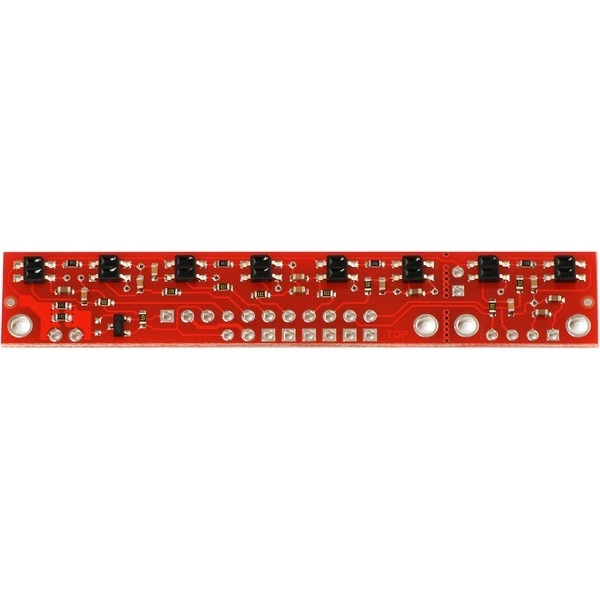 The board consumes about 100mA when active and the infrared LEDs can be powered off during idle times to conserve energy at about 10mA. Turn on the IR LEDs (optional). Set the digital I/O line to output mode and drive it high. Wait at least 10 microseconds for the capacitor to charge. Set the digital I/O line to input mode. Measure the time it takes for the input pulse to go from high to low. Turn off the IR LEDs (optional). These steps are typically executed in parallel to measure each channel's output simultaneously. The amount of time that each pulse stays high corresponds to the amount of infrared light that was reflected. Light colors will reflect more infrared light and result in shorter pulse times. Dark colors will reflect less light and result in longer pulse times. The actual amount of time will vary depending on the characteristics of the microcontroller used but will range from a few dozen microseconds for to a few milliseconds. Meaningful line detection results can be obtained within 1 millisecond allowing sample rates up to 1 kHz. This module is supported by the Pololu AVR library for use with the Pololu Orangutan Robot Controllers. Arduino libraries and example code are also available to get your Arduino compatible robot project up and running quickly.